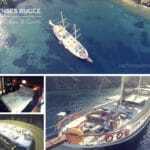 What are the Types of Gulet Cruises? There are two types of gulet cruises available for holidaymakers. One is designed for shared cruising where each booking is a cabin that is charter for either a single person or two persons. On the boat there are other travelers from different parts of the globe. The other are private gulet cruises. 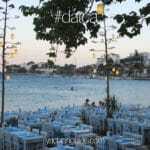 This is where a group of friends or family get together to hire a gulet and not share it with guests they do not know. Sometimes private gulet charters can range around the same pricing as cabin cruises, depending on the boat and time of year. Otherwise it is generally higher in price since you are chartering a gulet for a cruise private only to you and your guests. 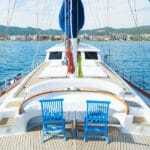 Are Gulet Blue Cruises Suitable for You? This question offers a very broad answer. 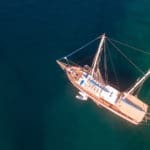 However if you know the basics about what to expect from a gulet blue cruise holiday, then it will at least give you an idea of whether or not this style of vacation is suitable to your criteria. First of all, gulet boats are not sailing yachts – at least not all of them. The sails you see on gulets are designed for sailing – but not for avid sailing enthusiasts. Gulets are heavy wooden boats, and mainly designed for cruising. These types of Turkish wooden boats are engine powered more so than sail powered. Gulets do offer sailing (particularly if you specifically request it), 2 to 3 days of the one week trip – if conditions are suitable. The whole gulet blue cruise is about having a very relaxed and easy going holiday at sea. There isn’t really a set time to do things – unless you wish to have it planned and organized that way. Gulet cruises are the go-with-the-flow style Mediterranean boat holidays. So if you love to be pampered and be lazy, or active and interested in seeing breathtaking places, historical places, then this style Mediterranean boat trip may be for you. Whether you are seeking to see a few or many places during your boat charter vacation in the Mediterranean sea, from Croatia, Turkey and Greece islands there is certainly many to choose from. It all depends on what you want to do on your vacation and where you wish to go sightseeing and exploration. Planning your itinerary is important. However sometimes your ideal itinerary can change and this is because of a variety of reasons. You could like one area more than the other, run out of time to see additional places, weather condition changes could play a role in route alterations, or other reasons. However, as one of the world’s most popular boat holiday regions, where ever you travel in the Mediterranean, you can be sure to see some rather breathtaking scenery, turquoise and emerald waters, exciting ancient sites, fabulous nightlife choices, and much more.